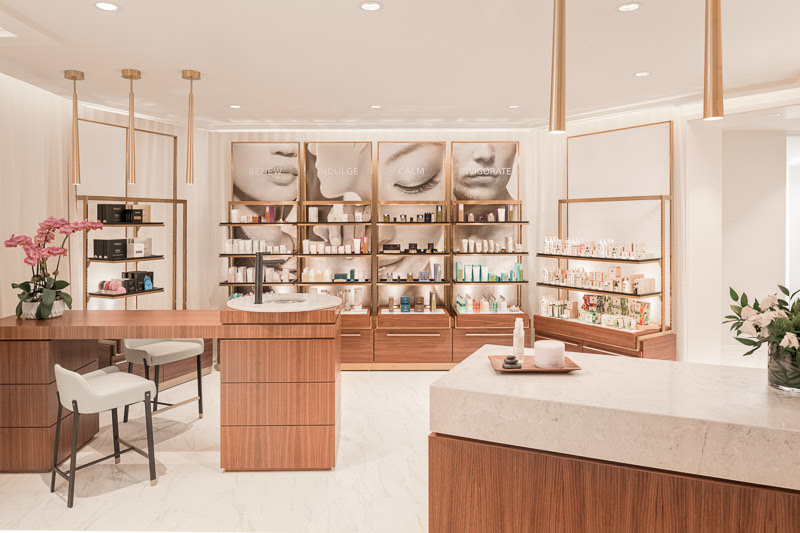 The first health and wellness experience of its kind in Canada, Spa by JW Vancouver allows guests to connect with their surroundings and inner selves, while also reaching a heightened level of relaxation. This tranquil escape is located at JW Marriott Parq Vancouver, part of Parq Vancouver, an international hospitality destination in the heart of downtown Vancouver's vibrant entertainment district. 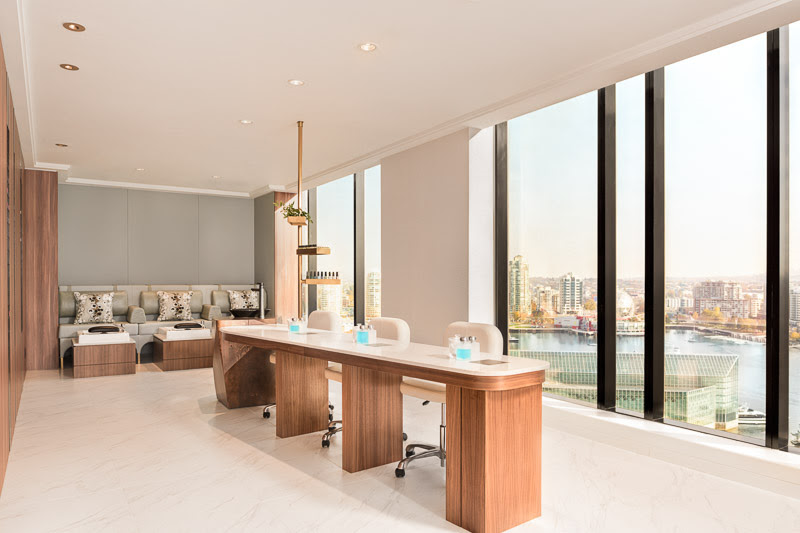 Encompassing the 17th floor of JW Marriott Parq Vancouver - one of two properties anchoring the resort - Spa by JW Vancouver delivers experiential relaxation and rejuvenation treatments centered around four distinctive results and benefits: Calm, Indulge, Invigorate and Renew. Whether guests are fatigued from a long journey or simply wish to indulge in well-deserved pampering, Spa by JW Vancouver provides a personalized experience that aims to replenish the body and mind. "Spa by JW Vancouver is an experience that favors simplicity and clarity - practitioners have honest conversations with guests about what they want to achieve during their treatment, and the menu of massage, facial, body and express treatments is straightforward and intuitive," explains Spa Director Ronnie Amick. "Well-being is a holistic experience, and Spa by JW Vancouver is the perfect place to unwind, whether alone or in the company of good friends." Spa by JW Vancouver is comprised of five treatment rooms and one couple's room, the latter featuring vistas of False Creek and BC Place. After visitors replenish their spirits with curated treatments featuring Aromatherapy Associates products - hand-blended with natural ingredients and therapeutic essential oils -they can adjourn to the outdoor Aqua Lounge terrace where breathtaking views and greenery offer an intimate connection with Vancouver's natural beauty. The lounge also encourages rest and rejuvenation with relaxing whirlpool, yoga space and chaise lounges. Additional spa amenities include a steam room; a JW Marriott express chair massage enhanced with software for meditation and relaxation; private hair salon; manicure and pedicure bar; and 4,240-square-foot, state-of-the-art fitness centre where specialized staff sculpt personalized fitness programs. Fresh on the scene as a leading international entertainment destination, Parq is at the heart of downtown Vancouver's energetic entertainment district. Built to meet LEED Gold Standards, Parq Vancouver's dynamic offerings include two luxury and lifestyle hotels within one complex, Western Canada's first JW Marriott Hotel and a first-to-market Autograph Collection Hotel, the DOUGLAS. Parq Vancouver offers locals and guests instant access to a wide range of amenities, including 72,000 square feet of world-class casino space spanning across two floors and featuring 11 private gaming salons, a 30,000 square-foot rooftop park, more than 60,000 square feet of well-appointed, flexible meeting and event space, and eight chef-driven restaurants and lounges from the world's foremost international restaurant developers and James Beard Award nominees restaurateur Elizabeth Blau, and her Canadian husband, Chef Kim Canteenwalla. For more information or reservations, please visit parqvancouver.com. do you know what jacket Justin is wearing in the picture you posted?